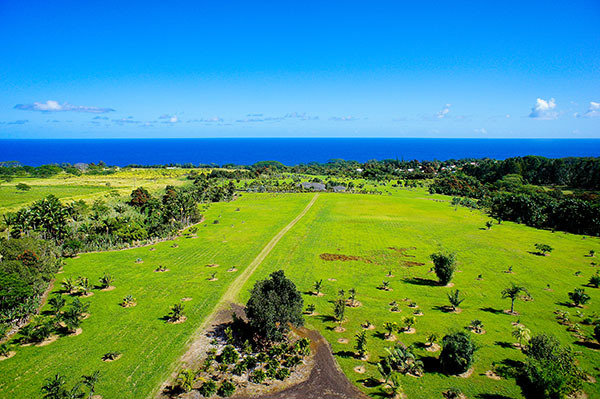 The 22 acre parcel of land featured in the video above is one of the most beautiful real estate offerings currently for sale on the Hamakua Coast of Hawaii’s Big Island. With ocean views and an accessible stream with mini-waterfalls flowing for approximately 700 feet along the Hilo side boundary, there is a great 3 acre home site near the stream, but there are also several other home site options above the stream offering ocean and mountain views. The property adjacent to this land, an upscale 4 bedroom, 5,704 sq ft home on 24 acres, is also listed for sale. Part of our Luxury Portfolio Fine Property Collection of homes, MLS 253260 is offered at $1,725,000. 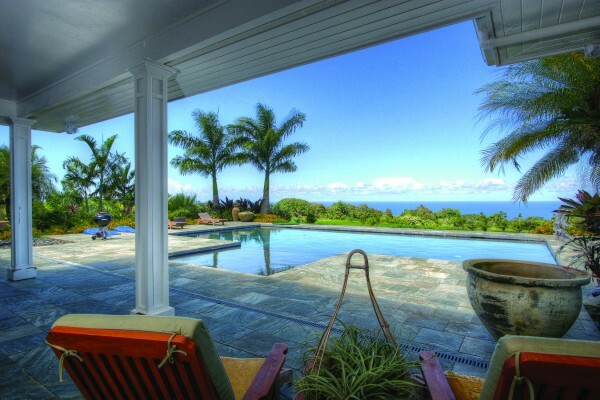 For the buyer seeking a large-acerage luxury retreat on the Big Island, this is an incredible opportunity to own a beautiful home as well as to get creative with the agricultural potential of the land. There are already over 1,000 palms planted on the property as well as a palm nursery with a number of potted palms that can be included in the sale. For more information or to arrange a personal tour of either MLS 249554 (the 22 acre parcel), MLS 253260 (the home and 24 acres of land), or both listings, please contact me or Christine Makaweo, R.